Whether money is already tight or you would just like to make some monthly savings for whatever reason, it’s likely that without making any particularly drastic or dramatic changes you could slash your monthly outgoings significantly. In order to make these savings on monthly outgoings you’ll need to assess all areas of your spending and look at your finances in some detail. In this article we’ll look at some of the simple steps you can take to reduce your monthly outgoings. The key to reducing your monthly outgoings is to have a clear idea of where you stand with your finances in the first place. This means budgeting. 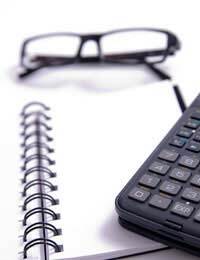 You’ll find more detail in another of our articles on this site ‘How to create a budget’. However, broadly speaking, budgeting means working out what your monthly outgoings and income are and trying to reduce outgoings where possible. Even small savings on monthly outgoings can quickly add up. There are all sorts of ways you can shave pounds off your monthly outgoings, and that’s before you even have to think about giving up treats. Utilities bills: Shop around for the best gas and electricity deals. Use a price comparison site to assess the deals and companies that could save you money. If and when you do switch look out for introductory offers from utilities companies and free gifts and the like from price comparison sites. Telephone costs: Mobile phone deals and landline and broadband packages are getting more competitive all the time. Mobile companies are falling all over each other for consumers’ business so use this competition to your advantage. With both landline and mobile phone offers make sure you take the time to research and compare different deals. Be aware of how and when you actually use the phone before you start your research. For example a deal offering endless ‘off peak’ minutes will be a false economy for someone who mainly calls throughout the day. Council tax: Have your council tax band checked. Many residents are unwittingly in the wrong band. If you think you may be in the wrong band, for example if you pay more than a neighbour with a similar property, ask the Local Authority for a re-assessment. However, be aware that, although it’s unlikely, it’s possible that your Council Tax will go up not down. Food: Food shopping is one of the easiest ways to make savings and bring your monthly outgoings down. Without good planning and a certain amount of thought it’s quite easy for food bills to soar. Think about shopping at markets, go to the supermarket when things are reduced and plan meals in advance. These are all ways you can drastically reduce the monthly outgoings you have on food. Some people also find eating vegetarian for most of the week and/or cooking from scratch saves significant amounts of money. Finally think carefully before signing up for insurance policies. Some types of insurance are essential and make economical sense in the long run. However, think very carefully about insurances such as mobile phone insurance and payment protection plans (on loans etc.) They are not necessarily bad but assess how much they will cost in the long run, when compared with what they purport to insure against. Also check whether the same protection could come from another better value policy or be covered by one that you already have. Things like changing to energy-saving bulbs, changing your shower head to a thinner one and turning the temperature of your shower really help too. Often it helps to monitor gas/ electricity expenditure before and compare after the cut backs you make. Thanks for your advice. Monitoring your gas and electricity via the new Smart meters that are due to be installed through 2016, will also help reduce your monthly outgoings, as we will be able to carefully monitor exactly how much we are using. It’s a good point about insurance. Some is vital (house insurance if you own, contents for everyone, car if you drive), but think before you sign up to other policies as they can prove to be a heavy drain on the budget. Shop around, especially for car insurance, where you can still find good deals by looking and taking a higher excess. Food is an area where it can be hard to economise, especially if you have a family. But if you're imaginative and open-minded it can be done. You don't need to go for the best cut of meat, and supermarkets have offers on meat that's almost out of date (put it in the freezer until you need to use it and it should still be good). Go for the supermarket own brand where you can, it's often made by the same people who produce the more expensive stuff. It all mounts up over the course of a month.